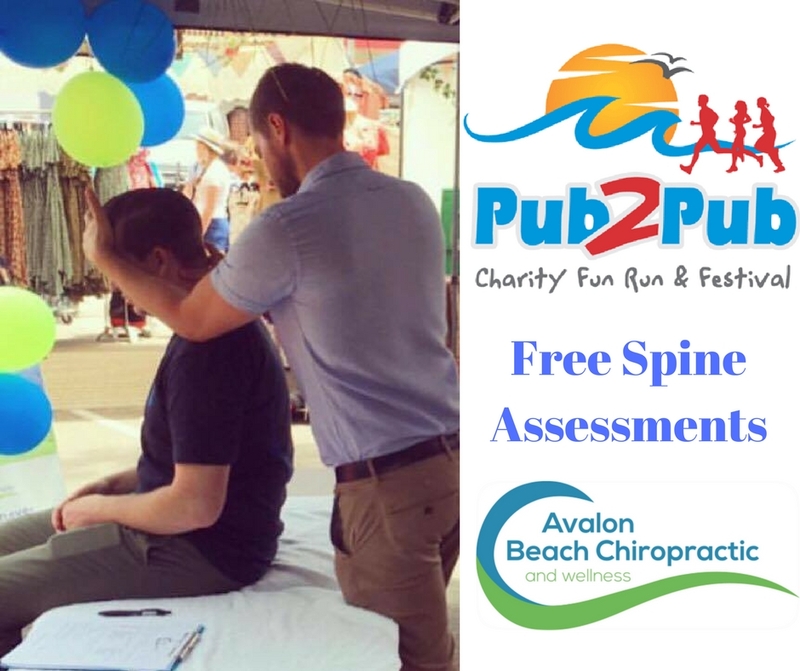 This weekend Dr Sam Garner DC, Chiropractor for Avalon Beach, Newport, Palm Beach and the surrounding suburbs will be the Newport Chiropractor for the Pub2Pub Fun Run. With our friends from Fairlight Chiropractic, Sam and his team will be providing Chiropractic assessments of athletes and competitors. If you are participating in the Newport Pub2Pub Charity Fun Run, you can meet us at the finish line. Newport Resident and Chiropractor, Sam Garner will be performing orthopaedic tests on athletes in need of assessment as well as postural assessments and functional testing. If patients decide to attend the clinic after the event, the consultation costs will be donated back to Surf Life Saving Australia. Movement is very beneficial to the body, but on occasion increased stress on the joints, muscles, ligaments and tendons can lead to overuse injuries. Newport Chiropractor, Sam Garner recommends varied movement types such as running and swimming as well as yoga and other exercise forms that will encourage full movement through the joints range of motion. A lack of joint movement can lead to joint rigidity and make the body vulnerable to injury. If you have any concerns regarding your body, whether it is a foot, knee, hip, back, neck or shoulder injury please speak with Newport Chiropractor, Sam Garner after the event. Supporters of the event are also welcome to assessment – our team will be there from 9am for you convenience before runners begin to finish. Sam Garner lives in Newport and practices in Avalon Beach. While travelling patients are very welcome at our clinic Sam Garner predominantly treats patients from the following areas: Newport Chiropractor, Avalon Chiropractor, Avalon Beach Chiropractor, Palm Beach Chiropractor, Mona Vale Chiropractor, Bilgola Chiropractor, Whale Beach Chiropractor, Clareville Chiropractor.